Ni Sa Bula Vinaka and welcome to Mangroves for Fiji! 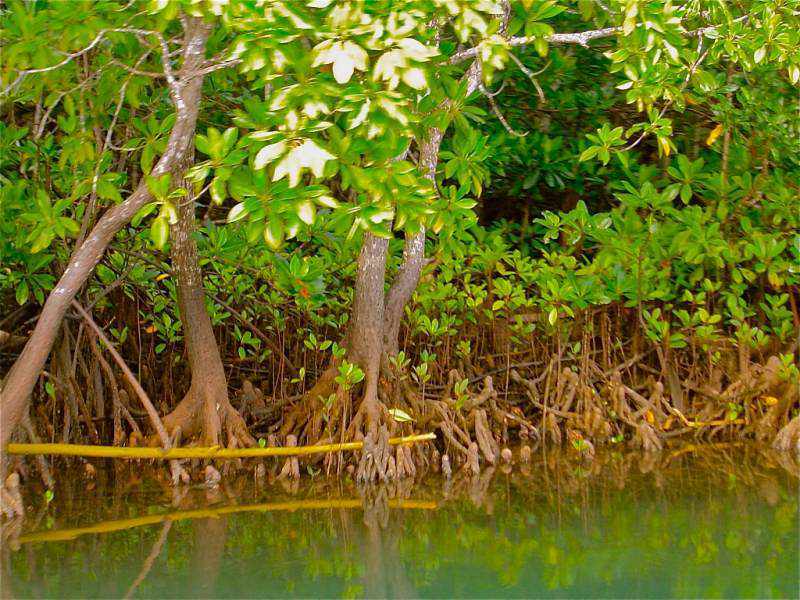 Mangroves are the rainforests by the Sea, and equally threatened. They are vital habitats that not only protect the coasts against tsunamis, hurricanes and Sea level change, but directly benefit the adjacent reefs by exporting life-building carbon and above all, by being the nursery areas of countless marine organisms from crustaceans all the way to Sharks. They are also largely overlooked excellent carbon sinks that sequester multiple amounts of carbon when compared to tropical and temperate forests. Thus mangroves are Nature’s answer to Global Warming. They provide natural adaptation to the effects of climate change, serve as natural insurance against climate change, and contribute towards the global reduction of greenhouse gas emissions. Mangroves for Fiji is a privately funded project that combines the advantages of planting Mangroves, with the advantages of offsetting one’s carbon footprint. 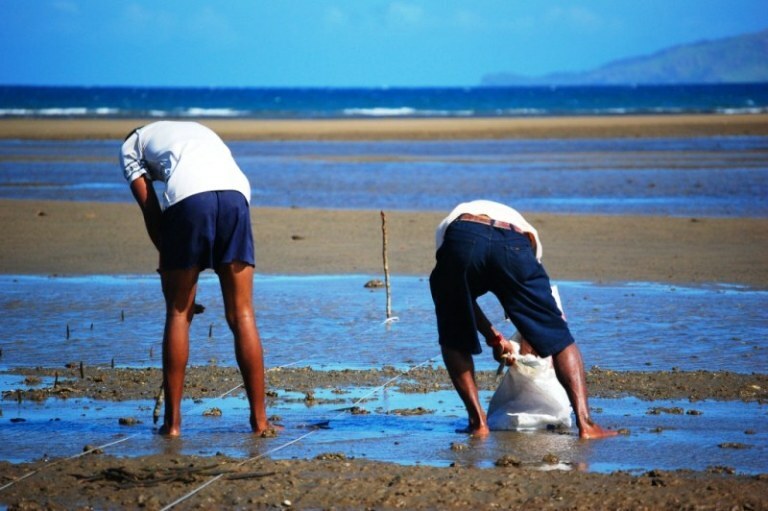 Participating Businesses aim at completely offsetting their carbon emissions by sponsoring the planting of Mangroves in Fiji. For this project, it is assumed that one hectare of Mangroves (= 10,000 Mangrove trees) sequesters one metric ton of Carbon every year. Planting will be effected in cooperation with local stakeholders. Having had to acquire the necessary information and skills, we wish to share them with the public. This website documents the progress of this project and is also a resource center aiming at assisting different interest groups. • If you dispose of a suitable site and would like to contribute to Climate Change Mitigation whilst earning some money in exchange, you can become one of the Mangrove Planters. Please contact our project leader who shall be happy to visit and assist in any possible way. • If you are a dive shop in Fiji and want to replicate this effort, you can become a Participating Business. We shall be happy to assist you by sharing our know-how and by pointing you in the right direction. Please however be aware that we shall not manage your project. For that, you will ultimately either have to hire professional help, or source your own sites and planters. • If you like what we do and would like to coordinate the same process in another country, we are happy to help by sharing this website with you. You can have this template free of charge and make all the necessary amendments yourself; or, you can contact with our website administrator who shall assist you for a very moderate fee; and finally, having secured various URLs and hosting plans for Pacific island countries, we shall be happy to transfer them to you at no incremental cost. • Finally, you can just explore the different sections in order to learn more about Fiji’s Mangroves, carbon footprints, carbon sequestration and carbon trading.